David Hammons is an American conceptual artist working in a variety of media including performance, installation, sculpture and printmaking. Beginning in the 1960s in Los Angeles, and then later in New York, Hammons set a compelling precedent for with his witty approach to infusing art into life and vice versa. 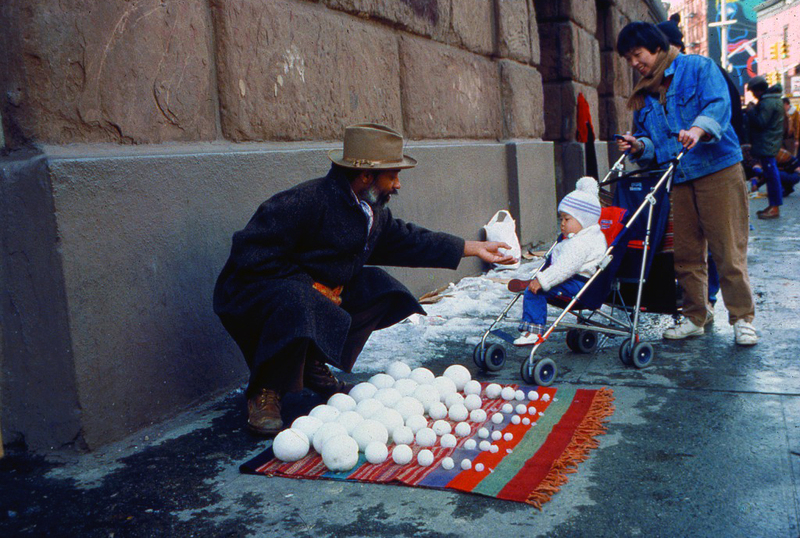 In the famous street performance Bliz-aard Ball Sale (1983). 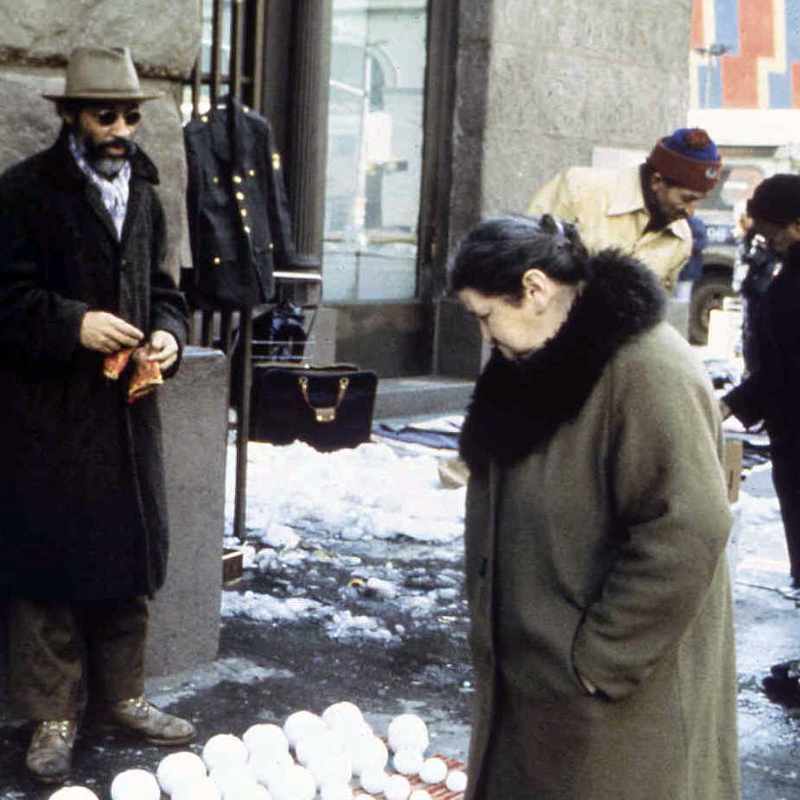 Hammons stood on the street alongside other vendors on Cooper Square, selling his neatly arranged rows of snowballs in different sizes (from XS-XL). 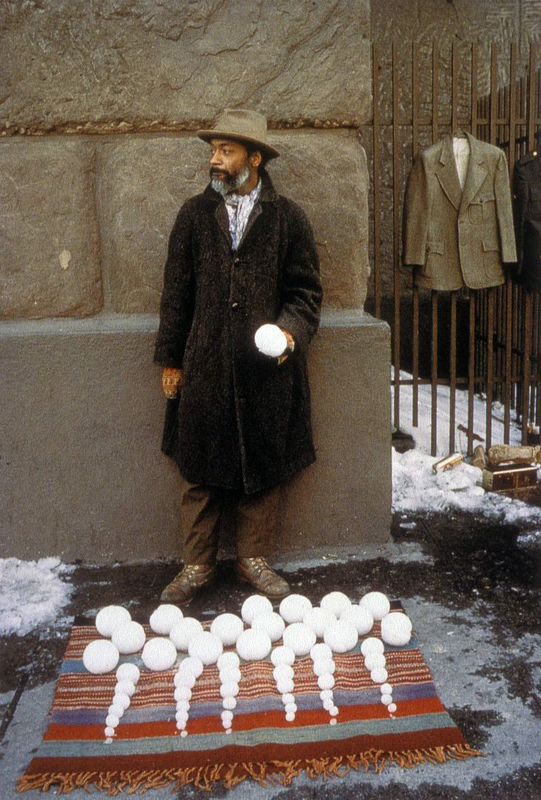 In this iconic piece, Hammons draws attention to both the arbitrary nature of the art market and the precarious financial conditions of many working-class New Yorkers.